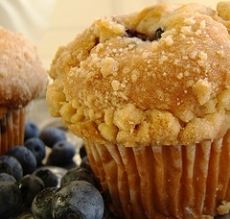 Have you made Blueberry Muffins With Streusel Topping? 2. Combine flour and sugar in a bowl, mixing well. 3. 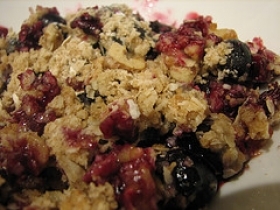 Reserve 2 tablespoons mixture, and set aside. 4. 2.Combine egg, milk, and oil; stir well. 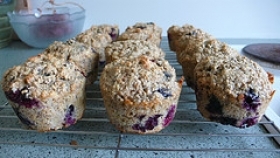 Add to dry ingredients, stirring just until moistened. 5. 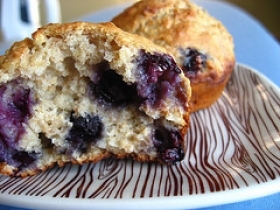 3.Combine blueberries and reserved flour mixture, tossing gently to coat. 6. 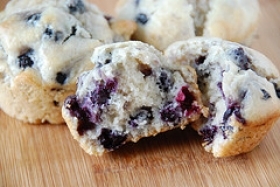 Fold blueberries into batter. 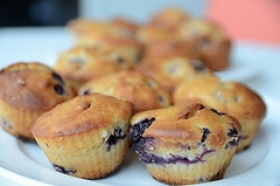 Pour into greased muffin pans, filling 3/4 full. 7. 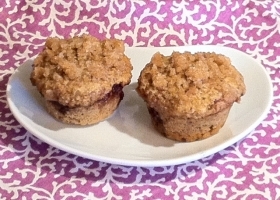 4.Combine brown sugar, flour and butter; mix until crumbly. 8. Sprinkle over batter. 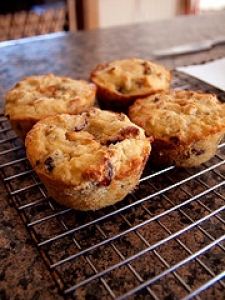 Bake at 400 degrees for 15 to 18 minutes or until browned.